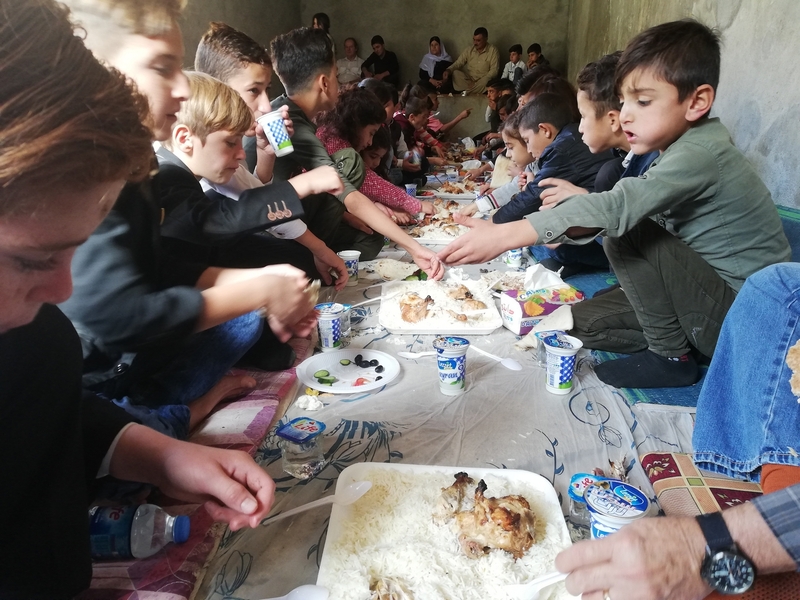 2nd, Nov. 2018 Therapy program session three , Lalish trip is a part of trauma healing process in wich 50 Yezidi orphans and survivors took a trip to Lalish with Panaga Staff and volunteer. The kids get the chance to see Lalish, be baptized and do other ceremonies that any Yezidi does . Moreover The kids along with their teacher spent their entire day at Lalish. Together everyone who helped us with the kids had a decent tradition meal at the midday. Furthermore for making the kids have more fun and doing a different thing for them , On the way back, we stopped in a beautiful place where the kids had fun time enjoyed their time laughing and jumping then coming of the buses so everybody danced together in the beautiful weather of Kurdistan nature. Lalish Cultural Center – Shariya helped Panaga for the trip organization and transportation . The whole project is financed by Partners Relief & Development.